Please see below a selection of letters and emails that we have received over the years from some of our most satisfied customers. 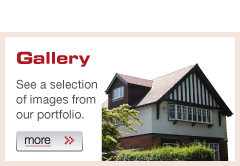 “I used Dux Loft conversions for my loft following a recommendation and was not disappointed. Les Dux came to look at the job and went through the logistics of the work. He gave me an initial quote and the costings did not change at any point. Les and his team were extremely professional at all times, worked hard and were happy to discuss any concerns that arose. Their workmanship was of a very high standard. I used Dux Loft conversions for my loft following a recommendation and was not disappointed. We write to thank you and your team for a project that high lighted the professional work carried out by your carpenters, plasterers and roofers, who all showed a great attitude, professional pride and skill in completing the work on our extension. Your team showed an enthusiastic attitude to hard work, punctuality and completing a job in a professional manner and with pride in theri work. 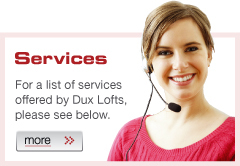 Both Lesley and I would have no qualms in recommending Dux Lofts to any prospective clients. Les Dux and his team are a hardworking, honest and reliable loft conversion company who have transormed our loft space into exactly what we wanted: a haven for reading and a lovely family bathroom. They are flexible and allowed us to make decisions about the exact dimensions of the rooms once the space had been opened up. We are delighted with the results and would highly recommend them. Thank you for a super job which has totally transformed our Edwardian House. Your team were great right from the start with design idea, referrals to an architect who dealt with all issues as we are in a conservation area, right done to clearing up our house due to a burglary whilst we were away and called the police! From start to finish everything went to plan. We had a big project, which involved relocating new hot water tanks, moving two bathrooms and building a new en-ensuite, moving storage areas in the roof cavity and making the existing loft into a playroom/home cinema with access and stairs and new bathroom ceilings to comply with all the relevant regulations. The team were very polite, clean and tidy and really nice to have around. They were ideal 'builders' as I have avery busy life with both myself and my husband working, two little boys, an au-pair and a dog so it was great to know that I could leave the house keys with Les and just let them get on with it. The attention to detail and finish are superb, right down to the matching of the new bannisters for the loft stairway to the originals in our hallway. We contacted Les and his team initially to undertake a loft conversion in 2009. The team were up against it from day 1, as my wife was 6 months pregnant and the clock was ticking. Understanding of the situation the team reordered their build plan to accommodate us and completed the internal work first to enable the team to be able to work independently and without disruption to the family in the event of an early arrival. Sure enough our son arrived 2 weeks early! However, as a result of Les' anticipation and contingency planning the team were able to continue the build independently and without disturbance to ourselves or our newborn son. I'd have no hesitation in recommending Les and the team to others considering such a build. Their vast experience, insight and high quality craftmanship makes them stand out from their competition and we were so impressed that we kept them beyond the loft build to undertake some further internal and external work for us. We've not had much building work done in the past but if we could be sure of all companies like Dux Lofts we'd have no hesitation in more renovations. From start to finish Les and his team did a fantastic job - Les fully consulted with us on our requirements and then when the team started they kept us regularly updated with progress. The level of workmanship from start to finish was exceptional, the team were punctual, polite, friendly and did all they could do to keep the mess to a minimum. To top it all off they started when they said they would and finished on time I would high;y recommend to anyone considering a loft conversion. When we decided to have our loft space converted in 2008, Dux Installations had come highly recommended by friends of ours, nonetheless, we were still a little nervous at the prospect of the upheaval such a large job might involve. However we had worried needlessly as the team that Dux Installations provided were on time every morning, courteous and discreet, with and excellent work ethic that I had not previously encountered form workmen despite having worked in property management for several years! There was none of the anticipated dissappearing to go to another job or fag breaks, long lunches in the van etc, and the standard of work could only be described as excellent. The main body of the work ws completed within 3 weeks and there was a further 2 weeks for the electricians and plasterer which was impressive considering we had a full heigh dormer build, two ceilings lowered and two new staircases fitted! We would highly recommend Dux Installations to anyone wanting a professional service with trustworthy, hardworking team. Following a referral from neighbour we were not dissapointed , Dux lofts did an excellent job of the conversion of our loft into a large main bedroom with en-suite, along with changing our original stairs, new doors and adding in a downstairs cloakroom. The friendly, hardworking team of Geoff and Sam, along with Les managing the guys always kept us as customers well informed, we found this reassuring. The work was done with minimal mess and disruption to our everyday life. They also showed flexibility to undergo the major work of putting in new stairs whilst we were away on holiday, which was a godsend. We have been happy to recommedn Dux Lofts to other friends and colleagues who have had work completed. We are very impressed with the quality of the work, and enjoy our finished home!